Experiencing a hit-and-run car accident in Michigan can be extremely traumatic. After the initial shock, individuals can suffer from lasting physical injuries. A car accident can damage the vehicle and lead to property loss. Typically, drivers remain at the scene while they wait for the police to arrive. The police need to create a report on how the car accident happened, who was involved and who caused the crash. Unfortunately, some crashes involve hit-and-run drivers. When this happens, it changes how insurance companies handle and process the claims. When someone is involved in a car accident, the first step is to get information about the other driver. Record the license plate of the other vehicle if possible. Write down the make and model of the other car. If the other driver leaves before the police arrive, this information will help the police track down the other driver. If a hit-and-run accident occurs, it is essential to call the police. The responding officer will take down as much of the information as possible. Take pictures of the scene and help the police create a report. If there are witness available, they can speak to the officer. Also, make sure to tell the officer about any injuries or pain. After a hit-and-run accident, the individual needs to call their insurance company to report the incident. 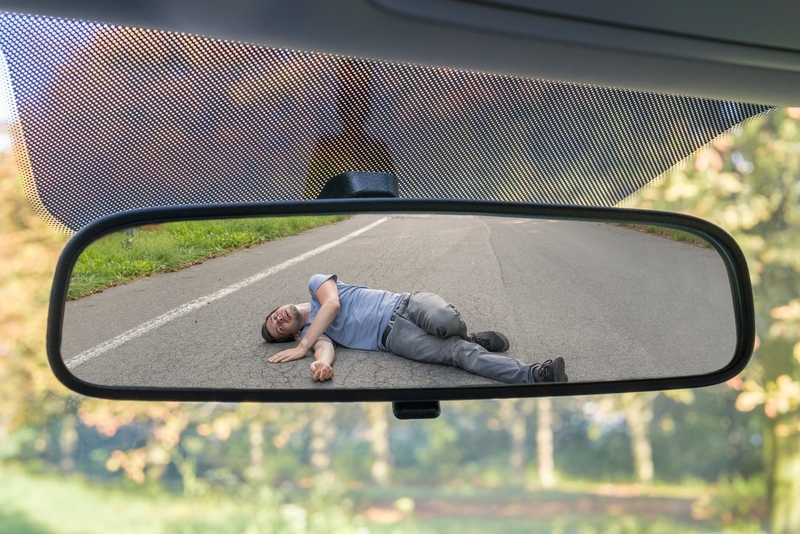 Many insurers have specific clauses that allow them to avoid covering losses if they don’t receive notification about a hit-and-run accident in a particular time frame. They may also have provisions that would enable them to avoid paying out losses if the victim didn’t fill out a police report within a set amount of time. State Farm Insurance is one company that uses this type of clause. Farm Bureau Insurance also has similar policies. Both of these companies are strict about their requirements. Policyholders have to file a police report and report the accident quickly to use their uninsured motorist benefits. Otherwise, the insurance company can deny the insurance claim. Michigan is considered a no-fault state, meaning that the insurance carrier has to compensate the individuals by paying their medical expenses, lost wages, attendant care, and other expenses. Even if someone does not have insurance, they can still get these benefits as long as they were not driving an uninsured vehicle of their own when the crash occurred. Unfortunately, uninsured motorist benefits are not mandatory. As long as the other vehicle makes contact with the insured vehicle that the victim occupies, the victim can get compensation. With the right legal representation, victims can prepare their case and seek redress. If you have been involved in a hit-and-run accident, it is crucial to hire a lawyer who will fight for your rights and compensation. More importantly, hiring a dedicated hit-and-run lawyer in Michigan who has years of experience in this field will be your best strategy for your situation. With over 20 years of assisting victims of automobile accidents, we continue to fight for those in need. Contact the attorneys at the Michigan Legal Center at (877) 425-0743 for your free case evaluation.